Vice Mayor of City Government of Balikpapan inaugurated the Indian Food Festival at Hotel Novotel Balikpapan on 9 February 2019. The Indian Food Festival was jointly organized by Embassy of India, Jakarta along with Hotel Novotel Balikpapan. An Indian chef was deployed in Balikpapan, who prepared authentic Indian delicacies, curries and sweets from various states of India. 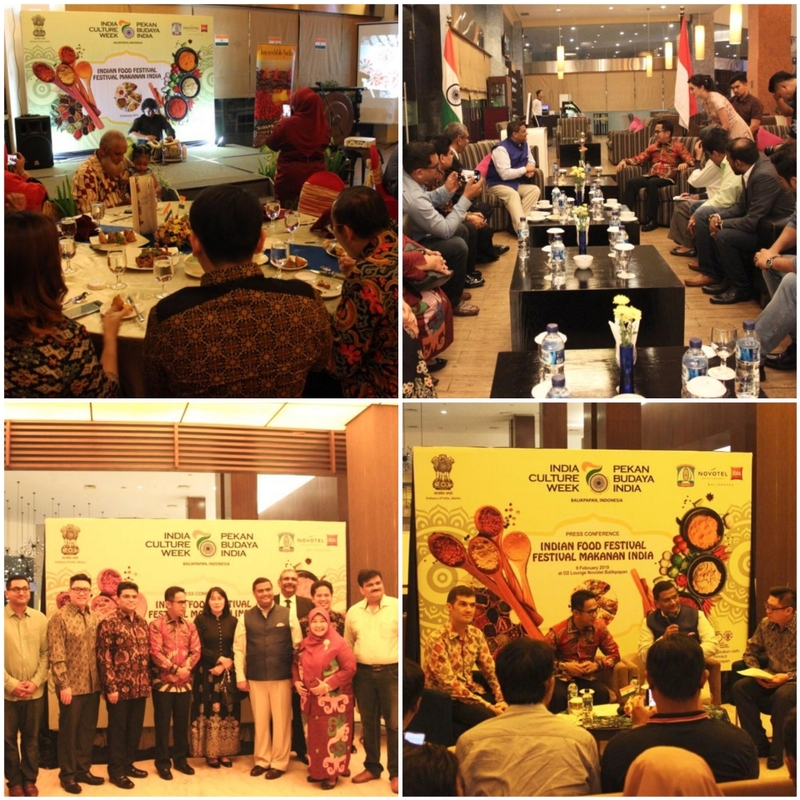 The Indian Food Festival was attended by more than 70 food lovers, including senior officials of the City Government of Balikpapan and members of the media. The Indian Food Festival would remain open to general public till 15 February 2019 at Hotel Novotel Balikpapan. The Indian Food Festival was organized as part of the India Culture Week in Balikpapan from 9-16 February 2019.